AGS Movers Chengdu showed its heart by supporting an art auction for children in need of medical care. 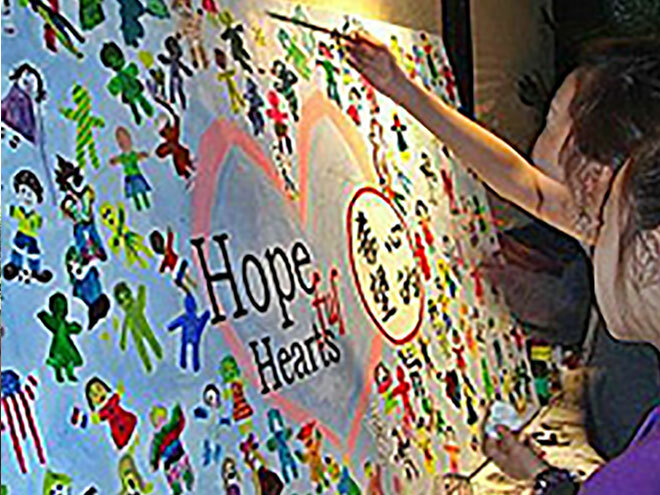 The fundraising event was hosted by Hopeful Hearts, a charity that supports children in need of heart surgery in China. AGS Movers Chengdu not only transported the artwork to the event, but also helped out on the day. The money raised is used for the much needed medical treatment and care, which offers a future for these children. Well done to AGS Movers Chengdu for paving the way to a brighter future.